The example of quality; the ultimate in comfort. At Swaddlez, we know what you are looking for in a crib mattress protector. We are parents too! Safety Rest easy, knowing your babe is sleeping on premium fabrics, designed specifically for their safety. The surface is soft and gentle on the child’s skin. 100% Phthalate Free, Lead Free, BPA Free. Premium Quality Made from the highest quality products available. The first thing you will notice is that the Ultra Soft Bamboo viscose top and the high quality TPU membrane. 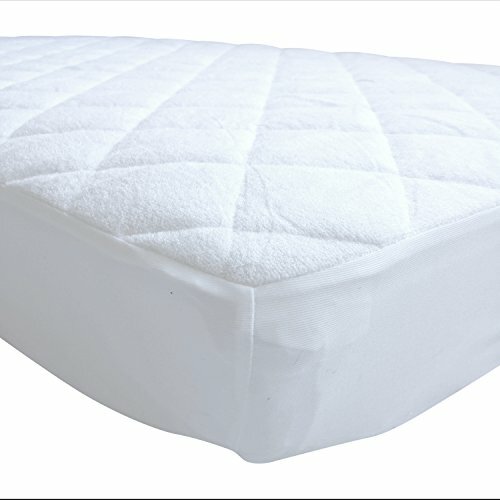 A protector pad that fits – With many of the mattress protectors on the market today, you struggle to get them on the mattress, and they barely fit after you wash them the first time. 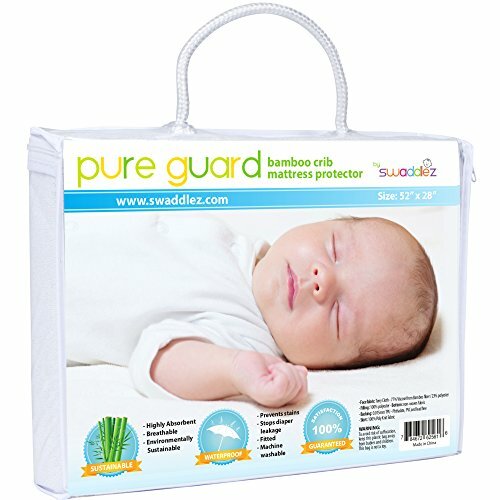 The Pure Guard Mattress Protector is designed to fit all crib mattresses. The 9″ skirt will fully wrap around any crib mattress, holding it firmly in place. 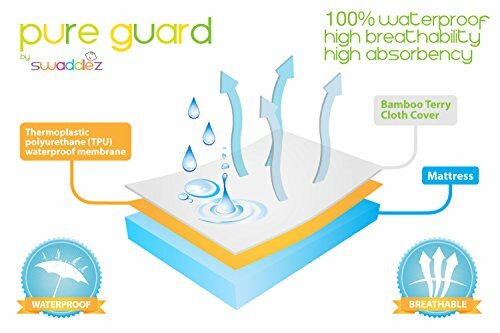 100% Waterproof The TPU membrane is 100% waterproof and the Bamboo top is highly absorbent, to provide for a comfortable night’s sleep, while protecting your mattress. Machine Washable – Completely machine washable and dryer friendly, making it easy to clean up any night-time messes. ADD TO CART 100% Satisfaction Guaranteed! ULTRA SOFT – Your baby’s skin is soft…. their crib should be soft too! Be assured your little one is safe and comfortable. 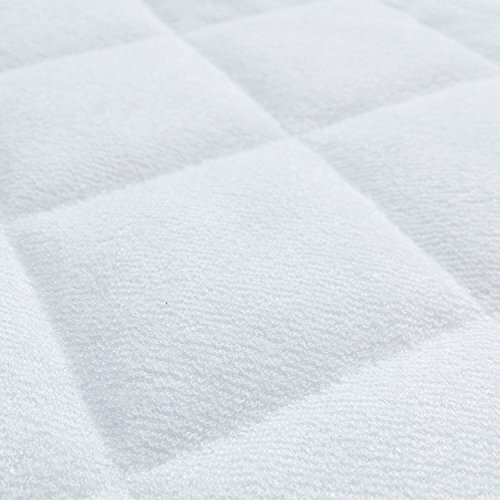 Bamboo viscose is the ideal solution for keeping your mattress clean and fresh. Your baby will love this Crib Mattress Cover! SUPER ABSORBENT – The no worry solution for those leaky bottle messes, or potty training misses. 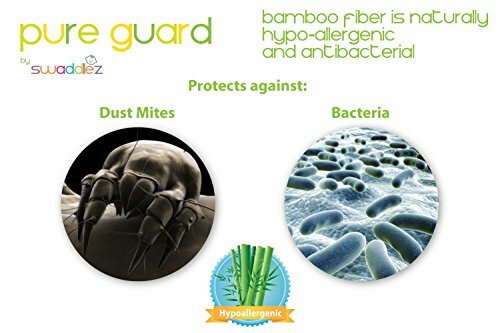 Bamboo Viscose is considered one of the most absorbent textiles available. HIGHLY BREATHABLE – Bamboo viscose naturally keeps your baby warmer in winter and cooler in summer, drawing moisture away from the skin faster and allowing for a more comfortable night’s sleep. MADE TO FIT – Deep skirt guaranteed to fit all 52′ x 28″ crib and toddler mattresses. Tight and snug, without the struggle to get it back on after you wash it. 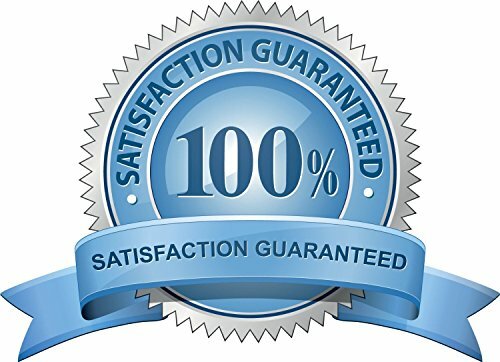 100% THRILLED CUSTOMER GUARANTEE. If this waterproof crib mattress protector does not meet your needs for any reason, return it and get every penny back, no questions asked.